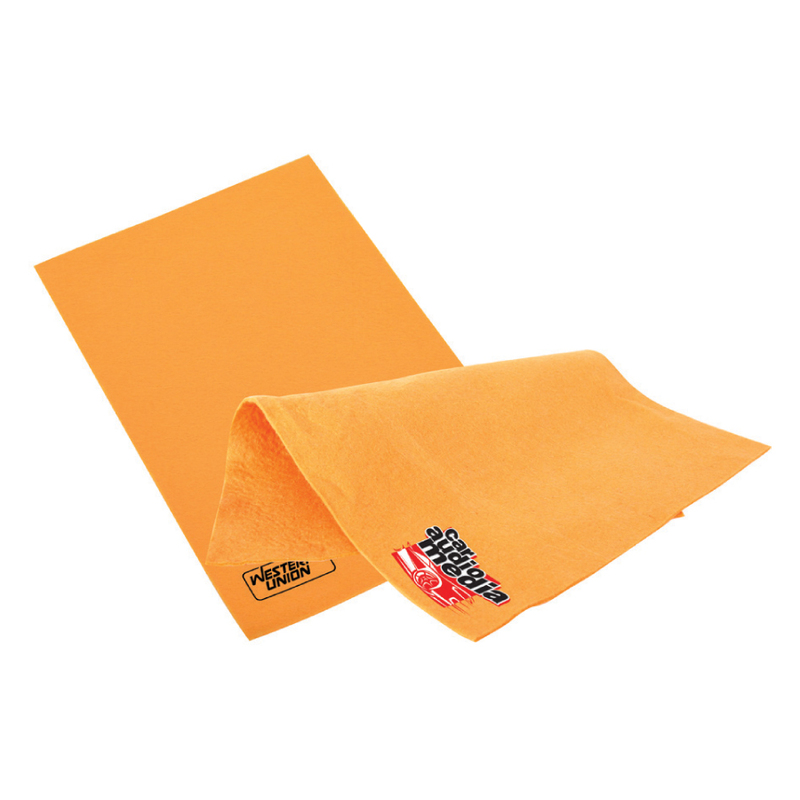 Safely remove dust, dirt, or stains with our super absorbent chamois towel! An indispensable product for cleaning cars, boats or any motor vehicle out there. Super convenient in its medium size. Easily picks up spills and will not scratch surfaces.